Kingdom Hearts 3 Release Date: The KH3 is coming! The game that landed directly in the hearts of the fans. Square Enix created the game and now seems to cover the glam light once again. The thrilling adventure happening in the life of Sora can have a final turn. Only a bit was revealed at the previous time. Now, the date is official and final. It was first announced way back in 2013. But, the project’s team has teased and dropped hints a lot of time in the recent months. The much-awaited gaming crossover looks magical, both while seeing and playing. Here, we have put everything like the release date, gameplay, trailers, worlds, characters, and other details. The action role-playing game is going to come for its 3rd series. This will be played on PlayStation 4 (PS4) or Xbox One. Square Enix made a complete mixture of the Disney world and other imaginative characters. For you, the part of Sora will be renewed. This sounds exciting! Plus, Donald and Goofy will return too. You’ll experience the enjoyment and fun once again. There travel journey would look more magnifying. Waiting to enter the battles? Okay, the new installment would satisfy your wishes. The much-anticipated game has got the final KH3 release date and it is going to release on January 29, 2019, for PC, Xbox, and PS4. The fans have been waiting for it for a very long time now. The waiting and anticipation had reached its par. The box art was unveiled by Square Enix on September 17, 2018. It features the full cast of colorful characters. Another interesting if you noticed is that it doesn’t feature well-known franchises – Toy Story, Big Hero 6, Frozen, etc. on the cover. Heard about KingdomHearts 3D? 3D are Dream Drop Distance! So, the game follows the events of KH 3D. Here, two characters ‘King Mickey’ and ‘Riku’ are searching out for the left out ‘Keyblade Wielders’. The game story reflects their journey throughout. Along with these exciting characters, there are present their friends too. They are ‘Sora’, ‘Donald’, ‘Goofy’. All of the three will be tracking the ‘7 Guardians of light’. Every effort made by each of the characters is directed towards killing the thoughts of evil ruler ‘named, Master Xehanort. Some information has been out by Tetsuya Nomura (director) regarding the upcoming of KingdomHearts3. And he says that on the day 3D ends, KH 3 will began. The installments are running from a variety of places and the journey is not taking place at a particular place. So, it sounds not possible to capture KH3 destination. Also: Windows 10 Sound Issue. This installment would give look at the original locations. That sounds something real! The theme would be based on Disney making the game look attractive. There has been shown confirmation of two things: ‘Tangled’ and ‘Big Hero 6’. Possibly, some of the favorites would give an entry once again. 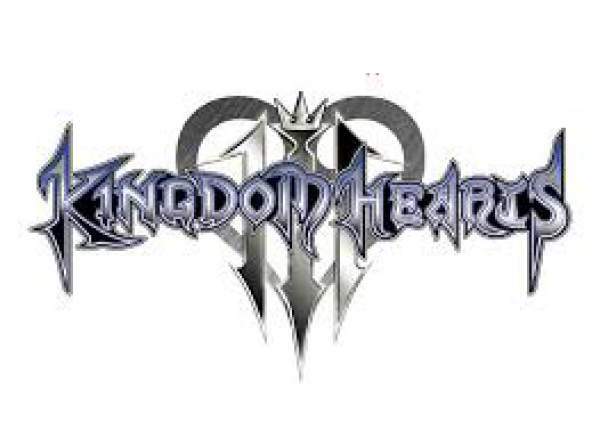 At the time of the launch of KingdomHearts 2, Disney booked Marvel, Lucasfilm, and Pixar. Sadly, we won’t be able to look at them in KingdomHearts 3. Check: How To Download DirectX12? The game will come with its new and original worlds. Some of them will be Disney-themed locales too. Disney has already acquired Marvel, Pixar, Lucasfilm, and Pixar, but many of them won’t appear in the next iteration of the game due to existing licensing deals. There is a list for some of the confirmed worlds of Kingdom Hearts3. These are as follows. The D23 Expo 2017 trailer featured Sora and his party entering Andy’s bedroom. Then, we got to meet Toy Story characters all of which will be featured in the game itself. Kingdom Hearts 3‘s story is based on 3 person parties, but it doesn’t mean that other characters can’t join the fight in other worlds. Rapunzel joined the heroes in the Kingdom of Corona as seen in the Expo. The protagonist has got overhauled traversal abilities which helps in climbing over obstacles to reach and unlock new areas in each world. As seen in the gameplay video, the Microsoft E3 2018 featured a brand new Frozen world. Also, it features Elsa, Ana, Sven, Olaf, and other known Frozen characters. It was the only world revealed in E3 2018. The Pirates of the Caribbean World was unveiled after it. Its gameplay video featured Jack Sparrow in the high seas with Sora, Goofy, and Donald Duck doing their job. Best Buy is offering a $10 rewards certificate with every pre-order of the title. Pick up an exclusive fabric poster from GameStop with every physical pre-order; not valid with digital pre-orders. It will not come with any digital content. For $150 more, this Deluxe Edition will come with everything from the base Deluxe Edition and three Bring figures of Sora, Donald, and Goofy. All three figures appear to be in their Toy Story world garbs as each appears to be more toy-like than collectible premium statues. This bundle will be available exclusively from the Square Enix store. A limited-edition PS4Pro bundle with every KingdomHearts remake and Kingdom Hearts3 has been announced. The bundle includes all three PS4 bundle games KingdomHearts 1.5 HD Remix, 2.5 HD Remix, and 2.8 HD Final Chapter Prologue. Currently, it is not available for pre-order, but when it goes live, we’ll update you with every retailer that has one available. Right now, you can get your hands on the all-in-one game bundle from the PlayStation Store for $100. It won’t feature any of the Avengers and Star Wars characters this time. The chances are extremely low as told by Tetsuya Nomura in an interview. It’s because they are not the original creations of Disney. The company purchased the rights to Star War and Avengers a lot late. The series composer Yoko Shimomura will be back for the third time, but Japanese DJ PHI from SERGE has been appointed in-charge to remix certain battle themes for Kingdom Hearts3. However, Square Enix hasn’t confirmed it yet. Along with it, we don’t know for sure which tracks he will mix up and for which worlds. In an unconfirmed leak which came in December 2017, it stated several new monsters for the upcoming Kingdom Hearts game. In the leaked screenshots, we can see Mike, Sully, and Boo from Monsters Inc., including the new Door Vault location. Let’s wait and see if this information is all factually correct. On May 17, 2018, the latest leak came in. It featured Wreck-It-Ralph which was unveiled on Reddit. It was confirmed to be real on the very next day. The Wreck-It-Ralph was mentioned on the preview coverage of KH3. You can check it out in the preview. Stay tuned to TheReporterTimes for more tech and game news. Previous article‘Shenmue 3’ News, Release Date, Spoilers, Rumors: Next Installment Confirmed?